Lyme disease is a truly horrible illness for many who become infected, and it’s not only on the rise but spreading geographically. Understandably, the suffering of so many has led to demands to find the cause and attempt to eliminate it. The rush to find an answer led to misidentification of the tick responsible, though, and the misnaming of the tick as the “deer tick” led to the mistaken belief that reducing deer numbers would reduce tick numbers and the incidence of Lyme disease. The terms “deer tick” and “Lyme disease” became inextricably linked in peoples’ minds, leading to the misguided blaming and killing of deer, which—tragically for both people and deer—results in no progress toward solving the problem. As is inevitable when starting off down the wrong path, you don’t get to where you want to go. Despite countless deer having been killed in the name of solving the Lyme disease problem, there has been no reduction in the number of people becoming infected. In fact, killing deer is so ineffective at controlling Lyme disease that even the Centers for Disease Control and Prevention (CDC) does not recommend that course of action. This article takes a look at what has gone awry with the quest to reduce Lyme disease, other ideas being pursued, and most important, what you can do to protect yourself and your family. 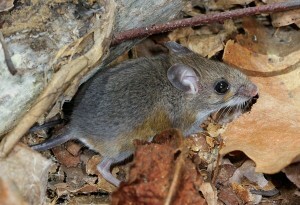 White-footed mice and other small mammals serve as hosts to larval stage black-legged ticks. The tick that causes Lyme disease was never some new “deer tick,” but the blacklegged tick, and deer are not their only host. Deer are not even the blacklegged tick’s most important host. That dubious honor belongs to the white-footed mouse and other small mammals that serve as hosts to black-legged ticks in the larval stage. At the next stage—known as the nymph stage—the ticks are usually found on medium-sized hosts, such as opossums and foxes. It is mainly at the adult stage that they seek larger hosts, such as deer, dogs, or humans. Next, they drop off, lay eggs, and die, and the cycle repeats. Deer are what is known as “dead end” hosts, meaning that the deer do not carry or spread the disease. Even if a lot of deer are killed, there will be no measurable reduction in Lyme disease. This is because ticks congregate in greater numbers on the remaining deer, or switch to other convenient hosts, such as people and dogs. In areas where large numbers of deer are killed, there is often an increase in people and pets affected by Lyme disease because ticks questing for a mid-size to large host are more likely to end up on people or dogs. Overall, killing deer is clearly of no use in solving the problem. The Lyme disease bacteria reside in the blacklegged tick’s bloodstream. Mice and other small mammals are reservoirs for the disease, because once they’re infected by a blacklegged tick bite, future ticks that bite them become infected. 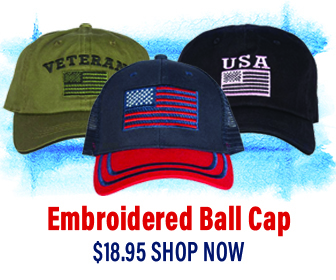 This, in turn, increases the number of infected ticks in the area that can then bite you or your dog. Thus, your risk of getting Lyme disease is more closely related to the abundance of mice and chipmunks than to that of deer, because deer neither carry nor spread the disease. And think about this… in many areas 50% of ticks are infected, so even if you only get one tick bite, you have a 50% chance of getting Lyme disease. Simply put, the facts do not support killing deer as a way to reduce the incidence of Lyme disease. If killing deer won’t help, what will? Unfortunately, there’s no good vaccine yet, but that is being pursued. So far, in terms of reducing tick numbers, there are also no clear options that apply to all situations, but there are some promising ideas being explored. station for deer. 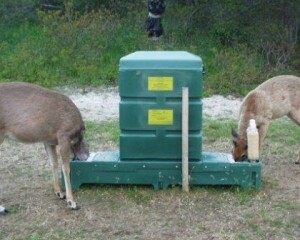 When deer feed at the four poster station, their ears, neck, and head rub against rollers that are treated with tickicide. One long term study showed that in the first year of use, 95% of ticks were killed on 90% of deer in a 50-acre area where four-posters were used. In the second year, adult ticks were eliminated, and in the third year, ticks of all stages were reduced in the area by 91-100%. Each 4-Poster can cover 50 acres. It does, however, require some labor to keep them filled. There are also Tick Tubes, which provide chemically treated cotton balls that are attractive to white-footed mice as nesting material. The mice bring the cotton balls into their nest, where both they and their young benefit from the tick treatment present in the cotton balls. In the near future, there may be sprays that homeowners can use on their properties to kill ticks, and essential oils may yet prove useful and effective, but have only been evaluated for safety by the EPA, not for effectiveness. Though efforts are underway to prevent Lyme disease in dogs, so far, there is no ideal treatment to protect your dog against a blacklegged tick bite. As of this writing, products are either too strong to be safe for all pets or too weak to be effective. Seek the best current guidance from your veterinarian, and try to follow the CDC’s advice on creating a safety zone in your yard through landscaping. 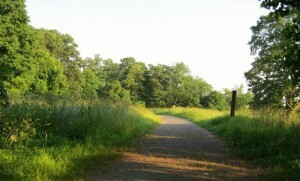 One way to protect yourself against ticks is to stay on pathways as much as possible while out exploring. Unfortunately the culprit—the blacklegged tick—is everywhere and is very difficult to kill, and that’s what makes Lyme disease an extremely challenging problem to solve. While scientists continue to work on solutions, there are several effective things you can do to protect yourself. 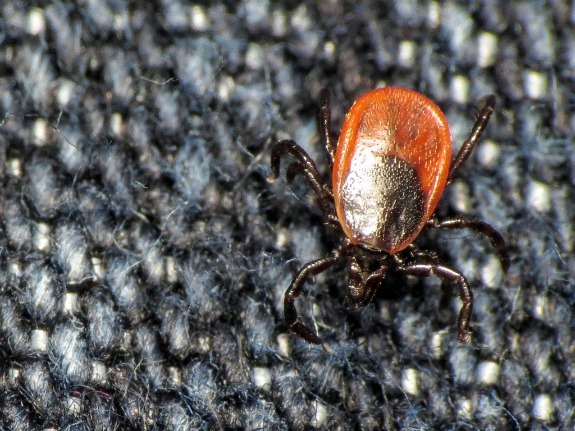 They may not be appealing or convenient, but they are far easier to bear than what most people endure when infected with Lyme disease by a blacklegged tick bite. When walking in woods or edge habitat, avoid deep leaf litter or tall grass and walk in the center of trails. Follow the CDC’s advice on creating a safety zone in your yard through landscaping. Opt for light-colored clothing, so you can notice and remove any ticks. When walking in wooded areas and edge habitat, tuck your pant legs into your socks to reduce tick access to your skin. Use a tick repellent on clothing and exposed skin, but be sure to read and follow directions carefully. Check the CDC’s specific guidance on this in case of updates. Most important and effective of all… do a self-check of your body when you return from outdoors or while taking a daily shower. The sooner the better, but do so within 24hours, removing any ticks you may find, and you will have interrupted the ticks before they have transmitted the harmful bacteria. Parents need to help young children with this. Check pets carefully each day and remove any ticks you find. Have the veterinarian do so at each check up and follow her advice for tick prevention for your pet. Check clothing and gear for ticks that may be attached. Clothes can be placed in a dryer with high heat for an hour to kill any ticks you miss. Follow these tips, and protect the health of your friends and family by sharing the facts you now know about Lyme disease and how to prevent it. Hey Buddy!, I found this information for you: "Lyme Disease – Getting at the Real Culprit, or Can We?". Here is the website link: https://effectivewildlifesolutions.com/lyme-disease-getting-real-culprit-can/. Thank you.